For the people of Kivalina, Alaska, the price of further climate change denial could be the complete devastation of their lives and culture. Their village must be relocated to survive, and neither the fossil fuel giants nor the U.S. government are willing to take full responsibility. Christine Shearer, PhD, is the Senior Researcher at the energy and climate organization CoalSwarm. She previously worked as postdoctoral scholar in Earth System Science at the University of California in Irvine, as a research fellow at the National Center for Ecological Analysis and Synthesis, and as a reporter for the Center for Investigative Reporting. Her writing has appeared in science and media publications including Nature, Environmental Research Letters, National Geographic, and The New York Times. She received her PhD in Sociology from the University of California at Santa Barbara. With Kivalina Christine Shearer has managed to do something quite remarkable, which is to take the incredibly complex geo/economic/political process of global climate change, present it in a way that is both comprehensible and compelling and then directly link it to one of the first bellwether communities to be affected by the process. 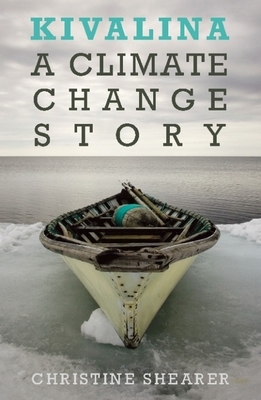 The book is beautifully written and the community of Kivalina is a harbinger of what our failure to control our technology and our greed will be bringing to coastal communities and cities across the planet."